I usually save this for Halloween, but what do you get when you divide the circumference of a jack 'o lantern by its diameter? 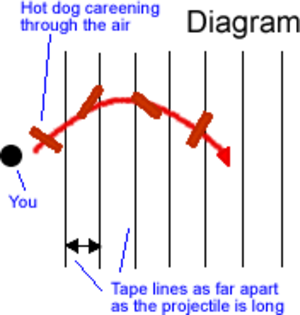 This diagram immediately makes me think "Loraina Bobbitt." All Bobbitting aside, though, it might be a good homeschool experiment.